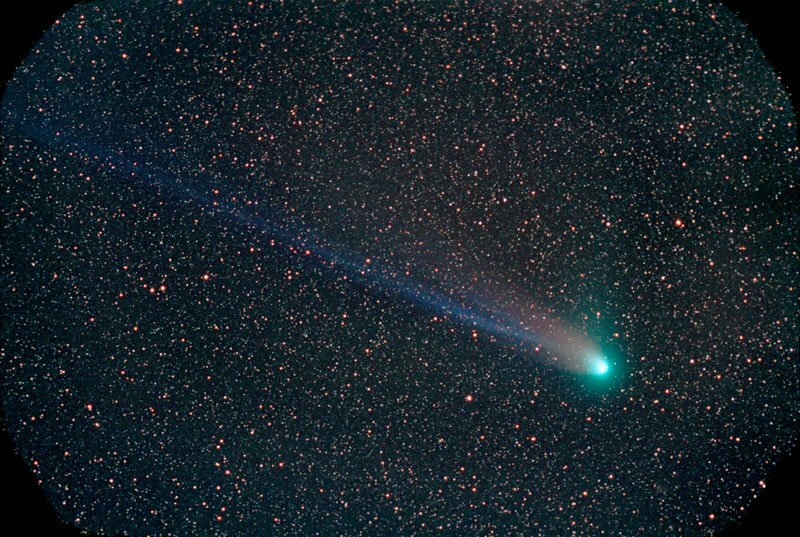 Explanation: Comet NEAT (Q4) is showing its tails. As the large snowball officially dubbed Comet C/2001 Q4 (NEAT) falls toward the inner Solar System, it has already passed the Earth and will reach its closest approach to the Sun this coming Saturday. Reports place the comet at third magnitude, making it easily visible to the unaided eye to northern sky gazers observing from a dark location just after sunset. The above image was captured last Saturday from Happy Jack, Arizona, USA. 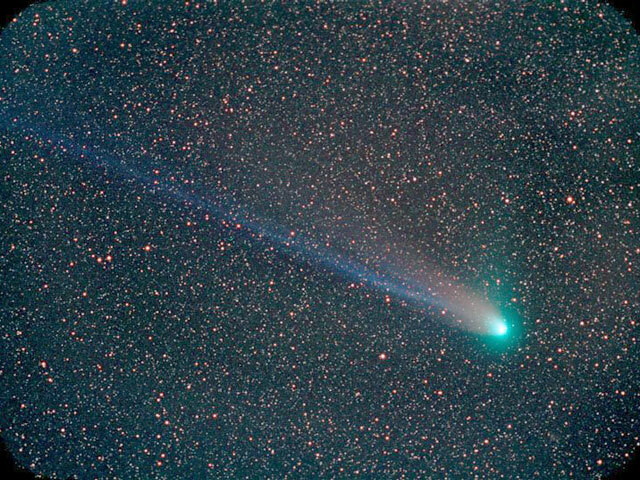 Visible is a long blue ion tail, a blue coma surrounding the comet's nucleus, and a shorter but brighter sunlight reflecting dust tail. Q4 will likely drop from easy visibility during the next month as it recedes from both the Earth and the Sun. Another separate naked-eye comet, Comet Linear (T7), is also as bright as third magnitude and should remain bright into June.